A diminished wild food supply is drawing bears into towns across Western Montana and wildlife officials continue to receive calls about bears in residential areas, especially those with fruit trees. Apples are an easy, but dangerous, source of calories for bears in the fall. Apples lure bears into residential areas, where they quickly find other food sources, such as garbage and bird feeders. Bears then become labeled as problem bears for their proximity to humans, dumpster diving, and fruit tree climbing. Often, the first time a particular bear is found in a residential area, it is relocated away from the urban environment. However, second offenders are usually not given a second chance and killed by officials. This is an important time of year for bears. They are busy preparing for hibernation by entering the intense state of hyperphagia, searching for easy and plentiful food to pack on the pounds for survival through the winter, when they will go several months without eating or even passing waste. In addition, pregnant females, which give birth over winter, cannot produce cubs without the required stored fat and energy necessary to birth and produce nutritious milk for newborns. Bears can also lose up to a third of their body weight during hibernation and, if enough fat was not secured in the fall, starvation may occur in the den. Additionally, upon emergence from the den in early spring, wild foods may not yet be abundant, causing additional stress. We can easily help out bears by securing all attractants around our homes to ensure that bears stay safe, while making it more difficult for bears to get into conflict with humans in the first place. A bear attractant is anything left out that gives off an odor: unpicked fruit trees, garbage, pet food, birdseed, urban livestock, and compost, among many others. It doesn’t even have to be food or food waste to attract bears—oddly enough, bears are also attracted to petroleum products, including gasoline! A gas can left outside this time of year could easily become a bear’s “toy”. There are many simple and quick fixes to secure attractants, such as leaving garbage in a secured garage until the morning of pickup. There is even a program to help with the cost of electric fencing to protect livestock, fruit, or garbage. There is also plenty of free help with fruit removal in the Missoula area. The Great Bear Foundation’s Bears and Apples program makes it easier for people with fruit trees by removing fruit and putting it to good use. 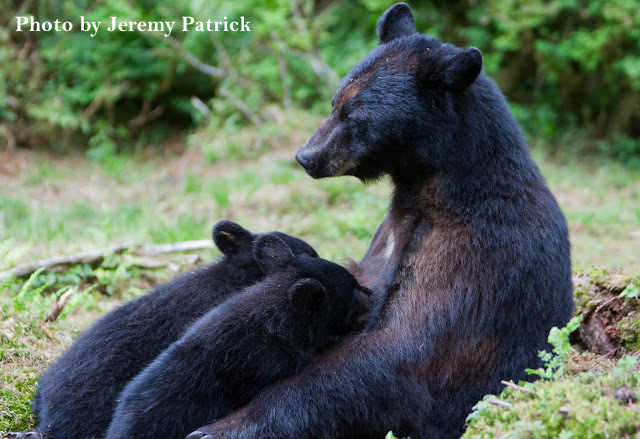 We have been at the forefront of community efforts to prevent human-wildlife conflict by organizing community efforts to secure and eliminate bear attractants in residential areas for over a decade. You can help this effort by donating to the Bears & Apples project, volunteering to help pick apples, and taking steps in your own neighborhood to make sure you and your neighbors are not attracting bears to the area. Bears & Apples is a fun and exciting project, but it takes all of our time and resources, and a lot of help from volunteers, to keep the project going. Your contribution, of any amount, will go a long way toward improving safety for humans and bears alike. We are grateful for the support of the individual donors and the Yellowstone to Yukon Conservation Initiative for funding this project. Human-bear conflict is a yearly problem, but with this fall’s wild food supply at one of the lowest levels in Western Montana in nearly two decades, bears are searching far and wide and venturing into new and urban areas for food to make it through the winter. Remember, bear problems are easier to prevent than to solve. Often, we just need the will and desire to act. The Great Bear Foundation is a volunteer-driven, grassroots organization sustained by your donations. We work hard to keep overhead costs low, so you can be assured that your contribution will go directly into bear conservation and education projects, and help us keep our doors open. Please help us to help the bears by donating to our projects today.